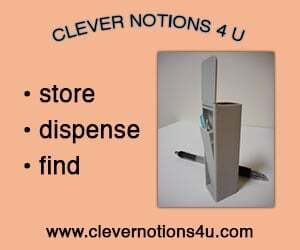 Many of you know Knotions because you were readers when we first published back in 2008. 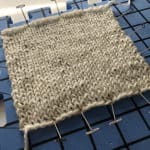 Some of you learned about Knotions afterwards because you liked a pattern or a tutorial. And some are learning about Knotions for the first time. Regardless, it’s a reasonable question to ask – Why Should I Publish in Knotions? If your design has chart(s) we lay them out and confirm that they’re correct and easy to read. You can submit a photo of a hand-drawn chart. Again, you can submit a hand-drawn schematic. We’ll take care of laying it out and making it readable. We’ll crop and zoom in to tell a story with your design, Send us good-quality photos and we’ll do the rest. Rights revert to shared after your design is no longer in the current issue. We may choose to feature your design in our marketing campaign. Your design published in a high-quality site and associated with your name. The publicity of a launch. 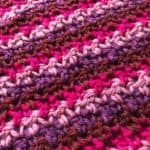 A preview of the entire issue so you can review what your pattern looks like, give us any final feedback and get a peek of what else is being featured in the issue. 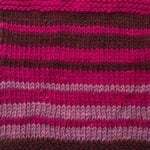 You get paid for your pattern – Knotions currently pays between 75 and 200 USD for each pattern. You can be confident that your pattern will remain live indefinitely. 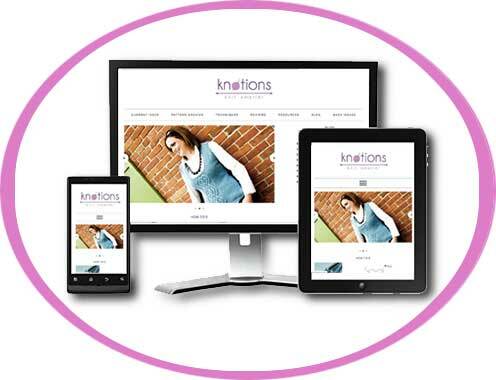 Even when we stopped publishing new patterns the site remained live. We’re still on the first page for many searches in Google. 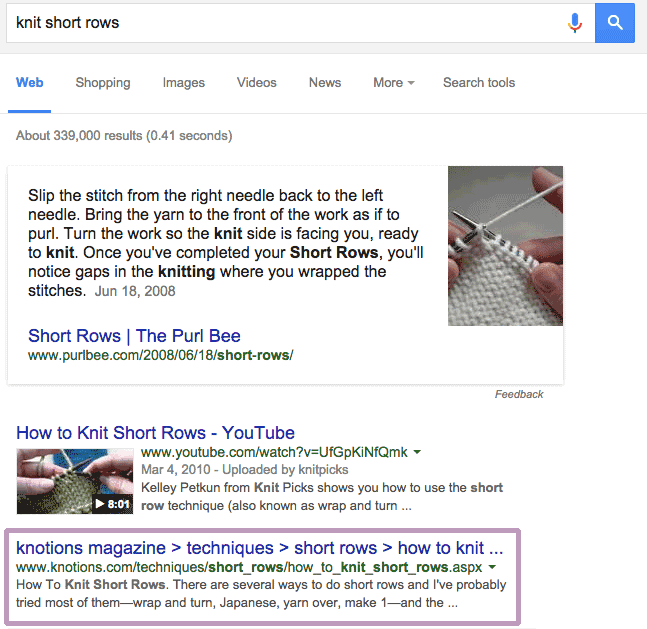 We’re currently 3rd for “knit short rows” (this is a live search so it could be different). If you’re convinced this is a good decision for your business, read our Submission Guide. And if you’re still undecided, feel free to drop us a line and we can talk through your questions. As I always say, it’s only good if it’s good for both of us.